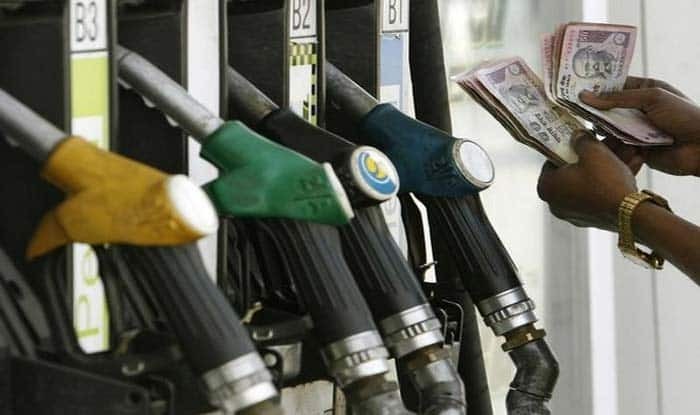 New Delhi: Domestic fuel prices declined for the second consecutive day with petrol prices falling around 20 paise in the four metropolitan cities. Diesel prices too fell on Sunday, in tandem with the petrol price movement. In the Delhi, Kolkata, Mumbai and Chennai, the fuel was sold for Rs 64.01, Rs 65.77, Rs 66.98 and Rs 67.58, respectively, down from the Saturday’s Rs 64.19, Rs 65.95, Rs 67.17 and Rs 67.77 per litre.